Convolutional networks reach top quality in pixel-level object tracking but require a large amount of training data (1k ∼10k) to deliver such results. We propose a new training strategy which achieves state-of-the-art results across three evaluation datasets while using 20×∼100× less annotated data than competing methods. 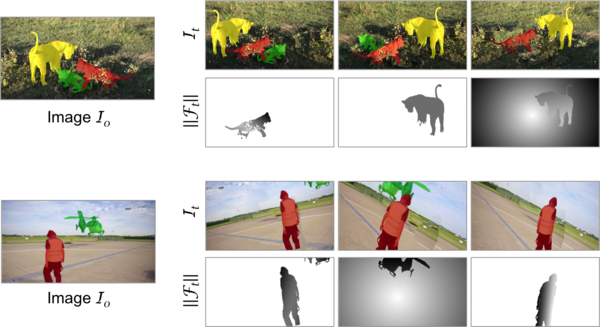 Instead of using large training sets hoping to generalize across domains, we generate in-domain training data using the provided annotation on the first frame of each video to synthesize (“lucid dream”) plausible future video frames. In-domain per-video training data allows us to train high quality appearance- and motion-based models, as well as tune the post-processing stage. This approach allows to reach competitive results even when training from only a single annotated frame, without ImageNet pre-training. Our results indicate that using a larger training set is not automatically better, and that for the tracking task a smaller training set that is closer to the target domain is more effective. 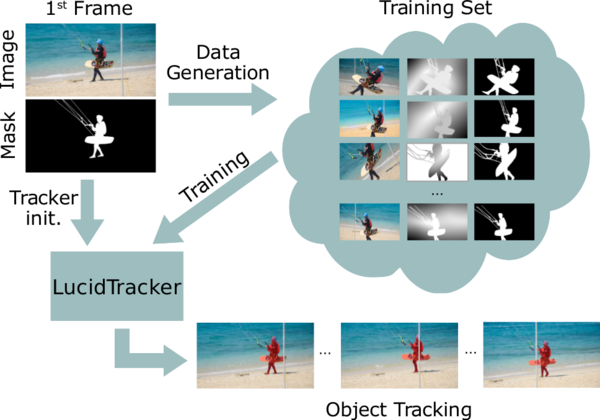 This changes the mindset regarding how many training samples and general “objectness” knowledge are required for the object tracking task. We took the 2nd place on DAVIS Challenge on Video Object Segmentation 2017! 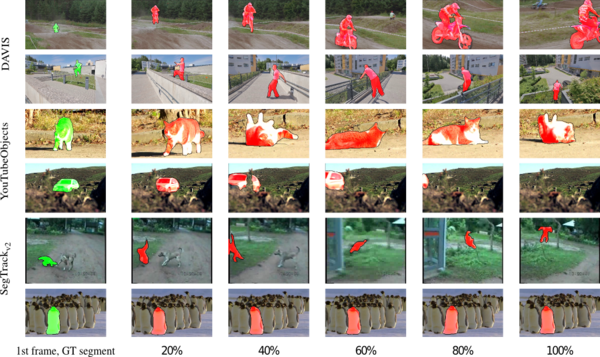 A Meta-analysis of DAVIS-2017 Video Object Segmentation Challenge by Eddie Smolyansky. 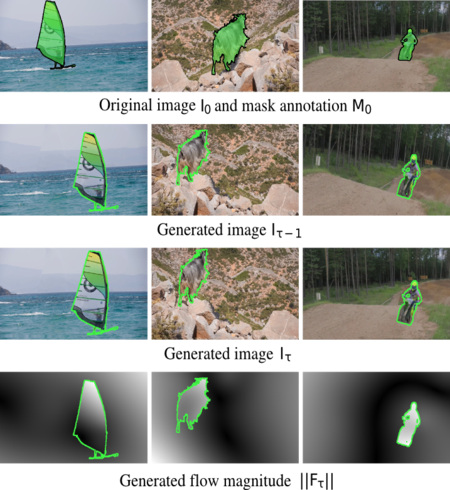 From one annotated frame we generate pairs of images that are plausible future video frames, with known optical flow and masks (green boundaries). Note the inpainted background and foreground/background deformations. Frames sampled along the video duration (e.g. 50%: video middle point). Our model is robust to various challenges, such as view changes, fast motion, shape deformations, and out-of-view scenarios. 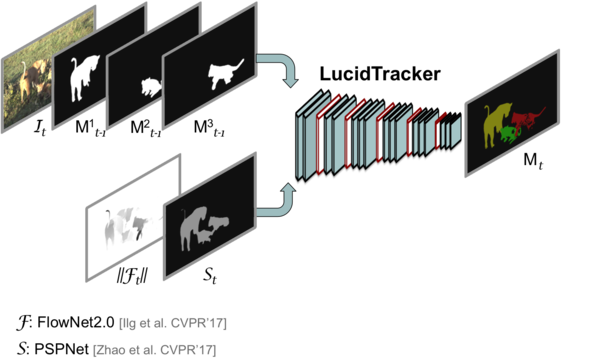 [Khoreva et al., 2017] Lucid Data Dreaming for Multiple Object Tracking, A. Khoreva, R. Benenson, E. Ilg, T. Brox and B. Schiele, arXiv preprint arXiv:1703.09554, 2017. [Khoreva et al., CVPR Workshops 2017] Lucid Data Dreaming for Object Tracking, A. Khoreva, R. Benenson, E. Ilg, T. Brox and B. Schiele. The 2017 DAVIS Challenge on Video Object Segmentation - CVPR Workshops, 2017.